Across the land young adults are packing up and heading off to University. My very own young adult was heading back on Friday after being at home for 4 lovely long months. A sad day for me as I miss her so when she is away. I had a smoothie for breakfast full of every superfood I could think of with only blackberries for sweetness. 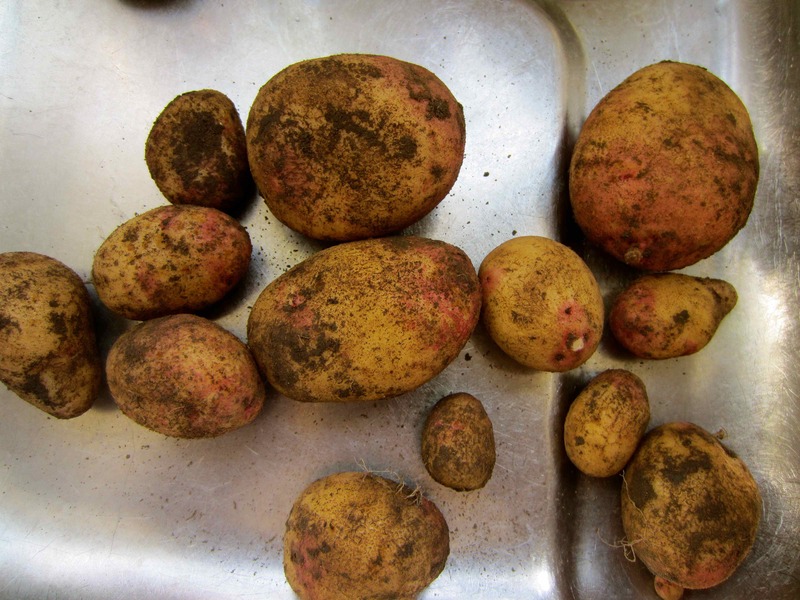 For lunch we had some home grown potatoes for the first time all year. They were perfect and no evidence of slug damage which is always a possibility. I had forgotten how quickly fresh dug potatoes cook so they were a bit overdone but still tasted wonderful. 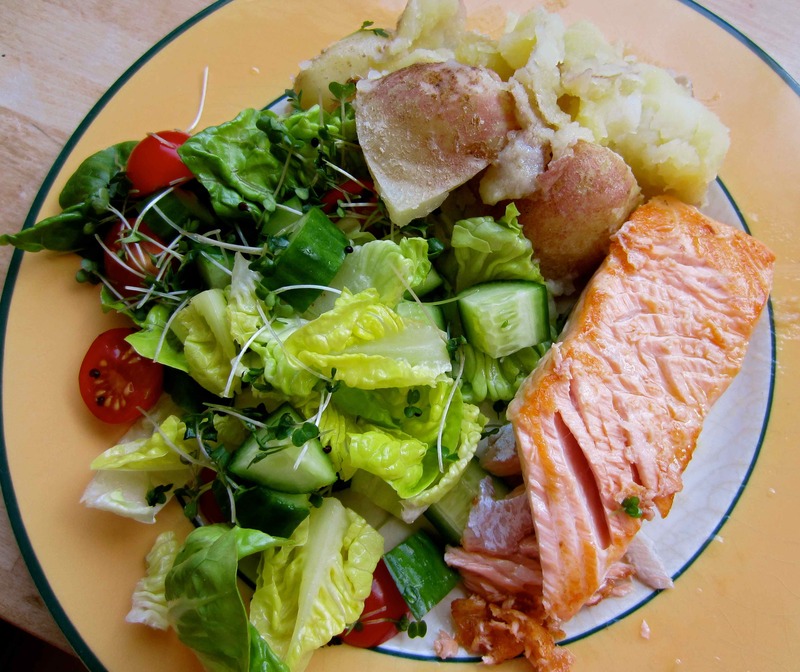 Served with salmon and salad. A nutritious meal to send Lara on her way. I went to University tonight too. I met up with 2 of my friends I made whilst at University many years ago. I went to University in London but had not visited the campus for a very long time. 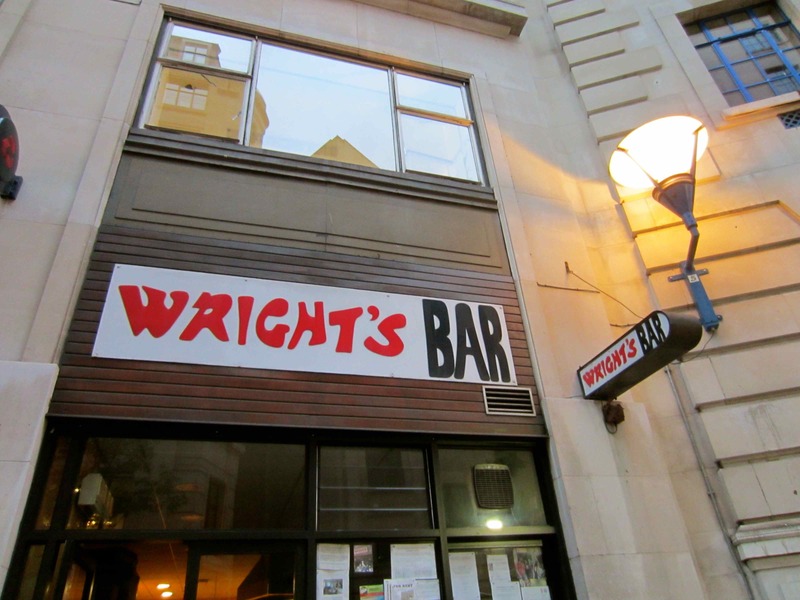 I was amazed to see Wright’s Bar was still there. This is a cafe rather then drinking bar. 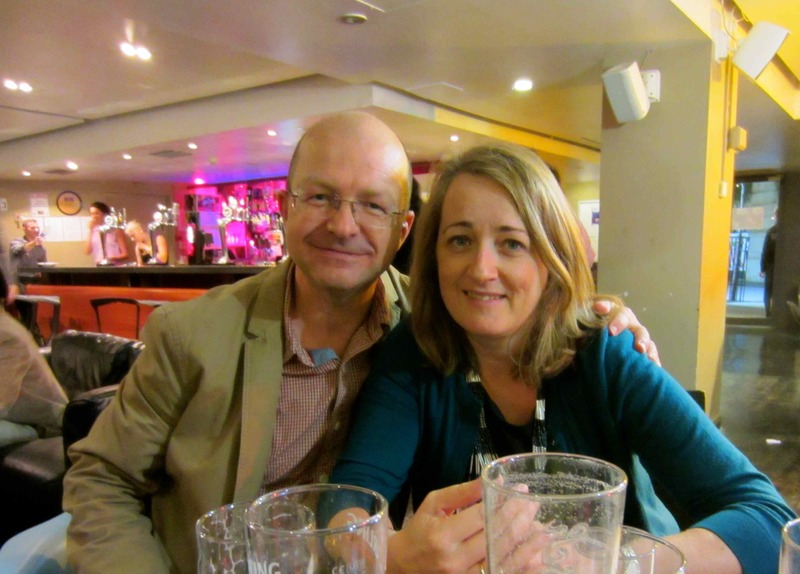 We met in the 3 Tuns, the University bar, which has been renovated and changed considerably since our day. Then it was dark with only tiny windows and after a good night in there you could hardly walk across the floor as your feet stuck to all the spilt beer and goodness knows what else! I can not remember when Laura, Jez and I met up without partners and children and I must say, it was extremely enjoyable. Lovely as our families are, it was fun to be able to reminisce and talk about people we used to live and study with, without being interrupted by children or feeling we were boring our partners. 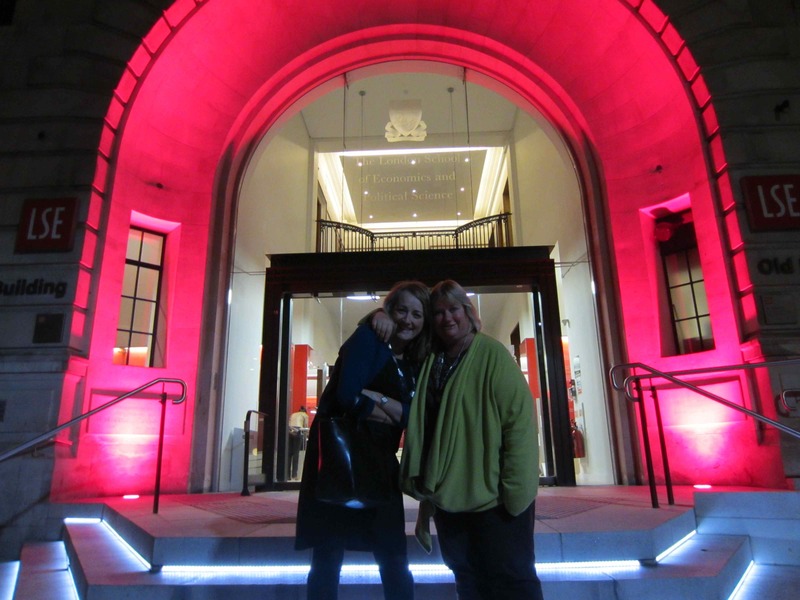 After a few drinks we went for a little wander around. Much has changed but some remains the same. I am sure this was the exact sign we used to have on the door. 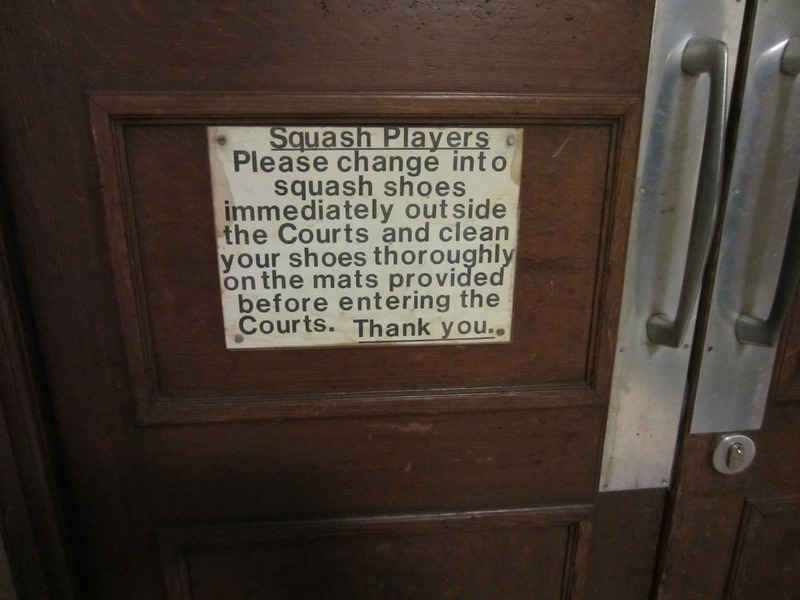 It is a very long time since I have played squash which I really enjoyed. There was definitely no fancy lighting in our day! We went for dinner in Cote. I enjoyed the Cote in Cambridge so much I was pleased to find one nearby. We went to the Cote on Tavistock Street, Covent Garden. 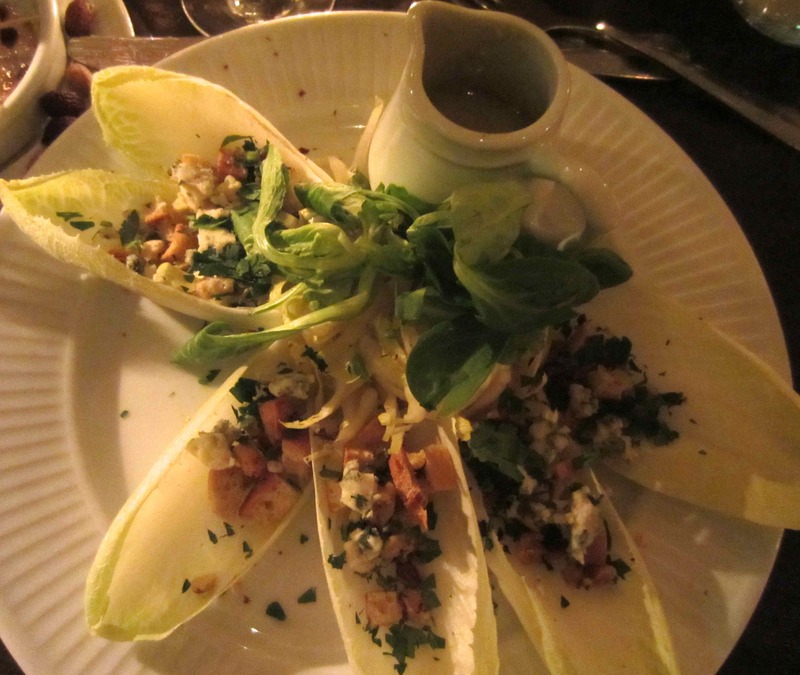 Endive, walnut and crouton salad with Roquefort dressing was delicious. 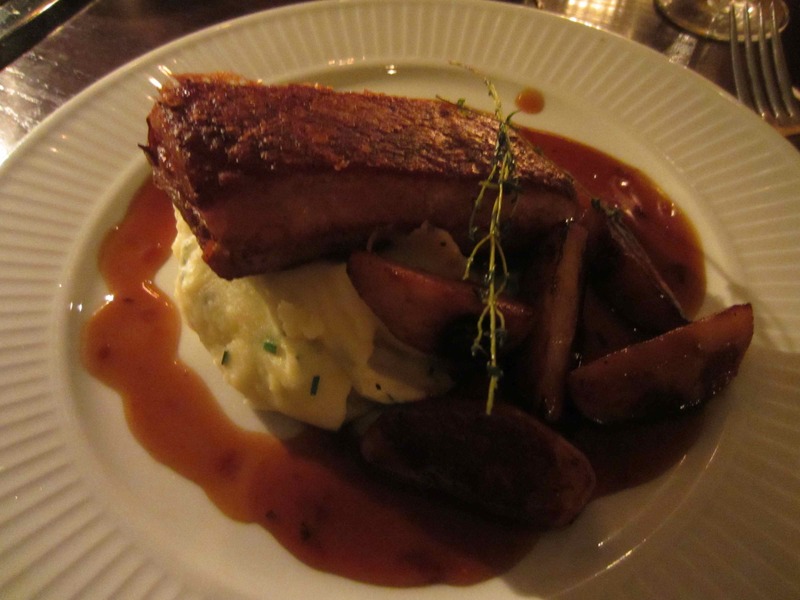 Slow roast belly of pork on mashed potatoes with caramelised apples was excellent. I followed this with frozen berries served with a warm white chocolate sauce. So far too much food and definitely too much to drink but what a lovely evening. We should do that again 🙂 A big thank you to the 2 kind people who drove me back from the station last night. I was definitely over the limit so could not drive and there was a really long wait for a cab. I would have had to wait until 1am! I was contemplating calling James when the couple sitting opposite me on the train offered to drop me back. A random act of kindness from one stranger to another. It was VERY much appreciated – thank you. I was definitely not feeling too fresh this morning! So I headed out to the garden to forage for something very nutritious to consume. 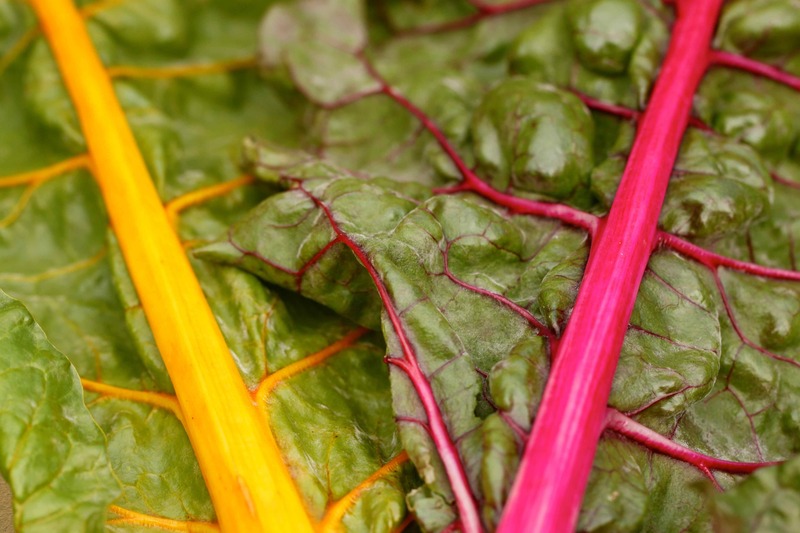 The Swiss Chard continues to grow huge green leaves with colourful stems so I picked some of those. 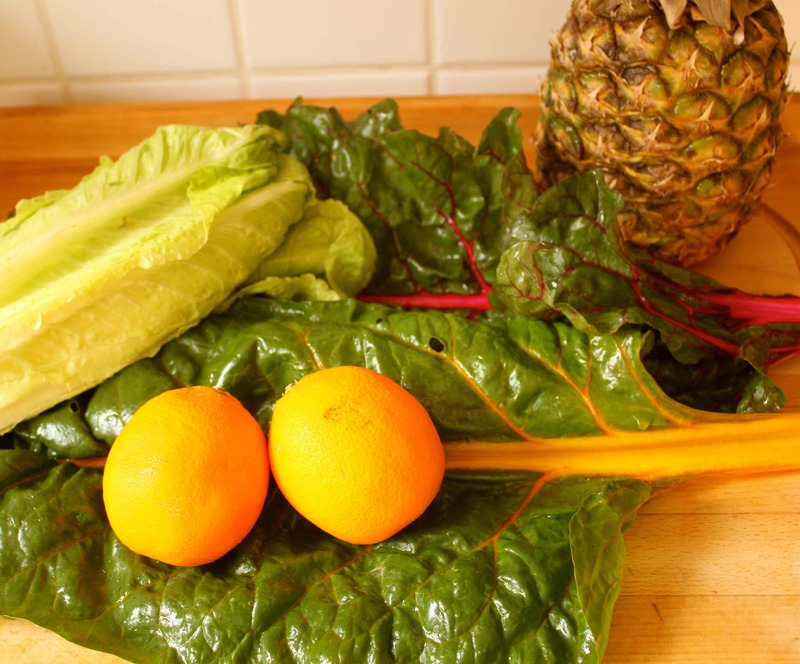 I wanted a mega dose of vitamins and minerals so I juiced up the pineapple, Swiss Chard, Romaine lettuce and 2 oranges. 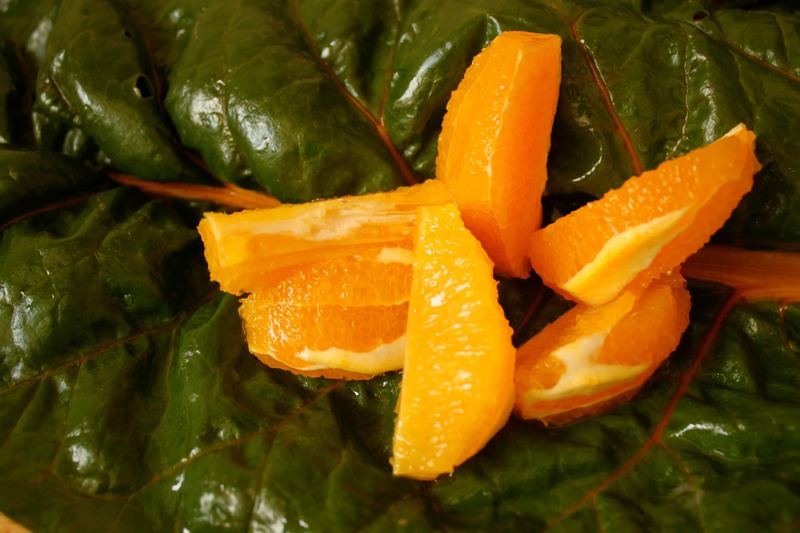 I felt better just looking at these lovely green leaves and the orange. I only juiced half the pineapple and everything else in the pictures. It made 3 glasses full of liquid goodness which I sipped during the morning. It tasted good. It genuinely did taste very good. Feeling slightly revived I went to Cranbrook to the Farmer’s Market. 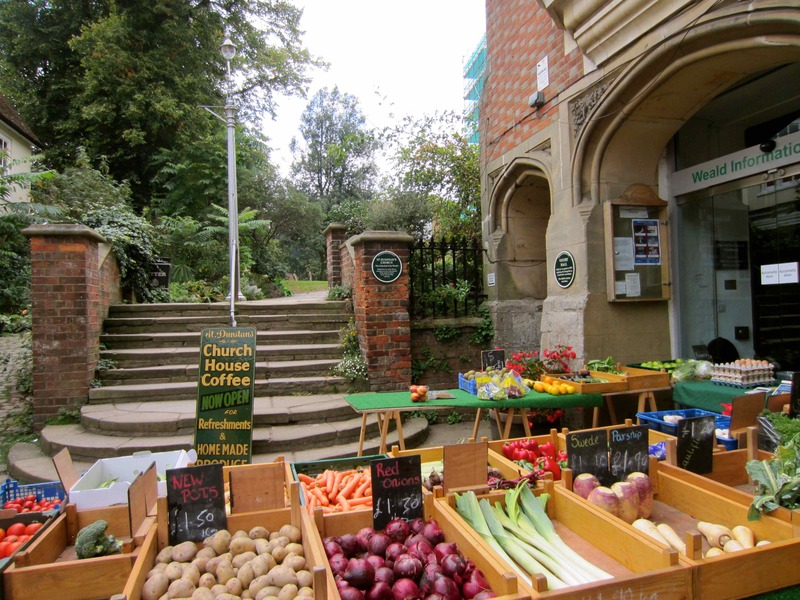 I have been slack lately about supporting my local shops by using an on-line delivery service from a Supermarket so I must get in to the local shops more. It was good fun too. 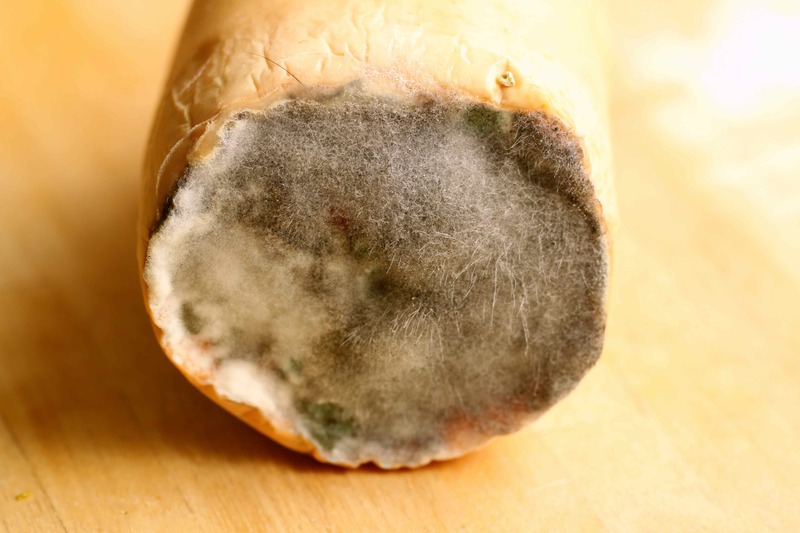 Luckily I bought another Butternut Squash because this one I was planning to eat for lunch was inedible! 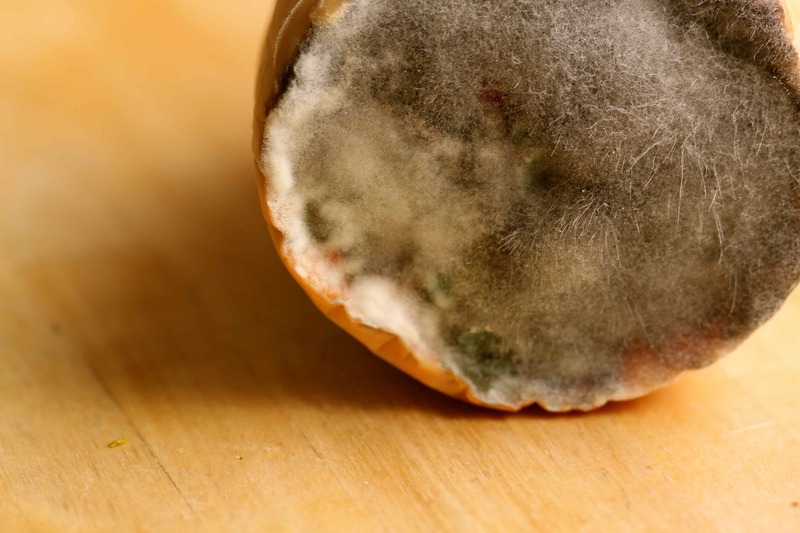 Quite a fascinating amount of mould there! Harvey had one of his old school friends over for lunch which he really enjoyed and he always asks for Spaghetti Bolognaise when given a choice. I made the bolognaise with beef and lots of vegetables; onions, garlic, mushrooms and red peppers in a tomato sauce. 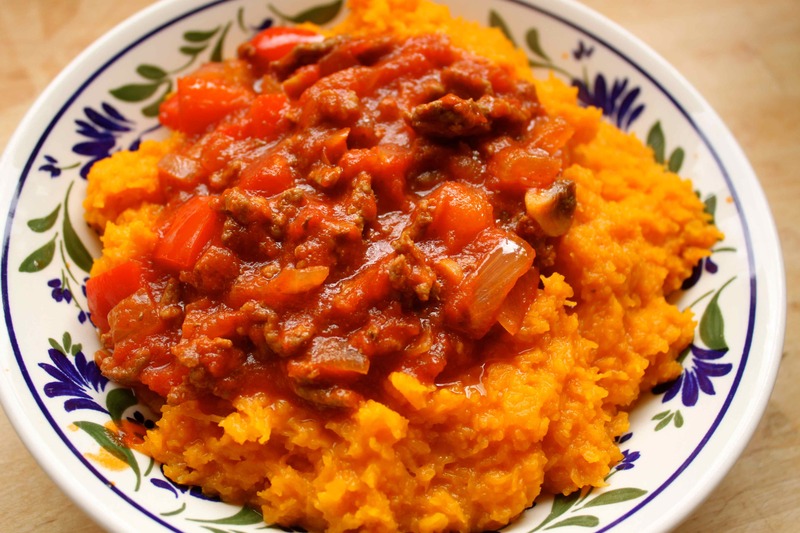 I had mine on mashed squash rather than pasta. 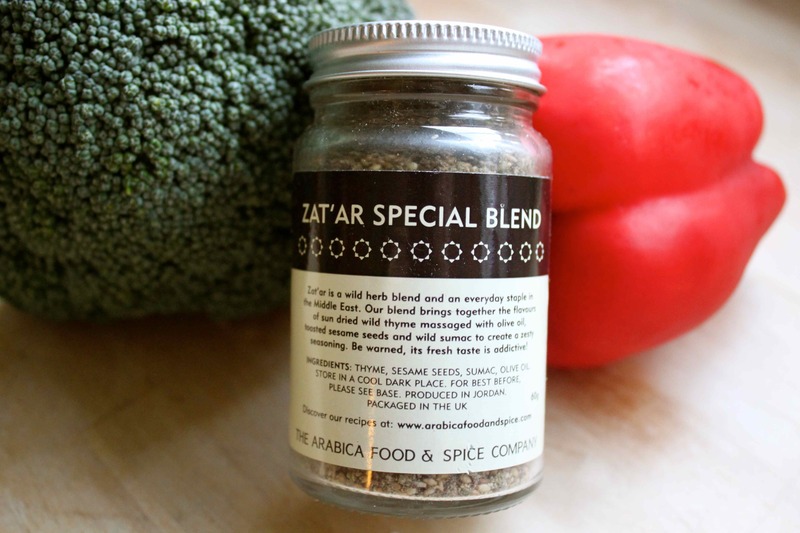 For supper I made a stir fry with broccoli and red pepper and used the Zat’ar on the salmon. 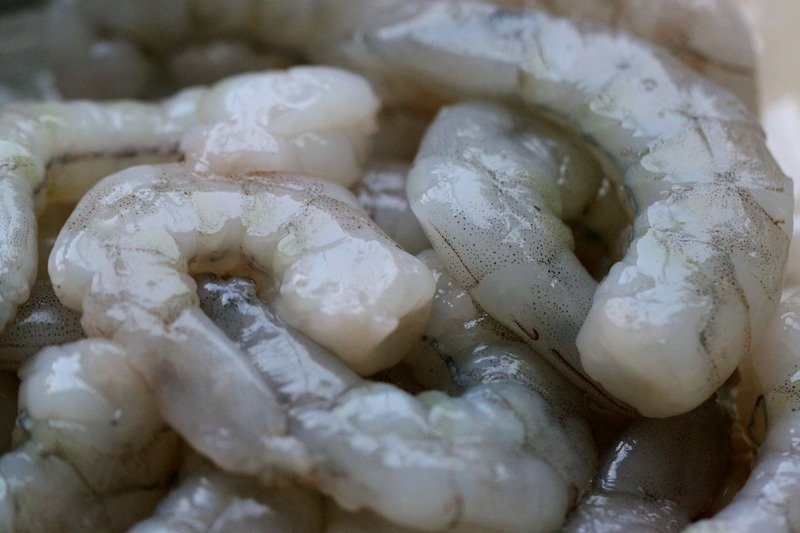 I cooked up the prawns too. 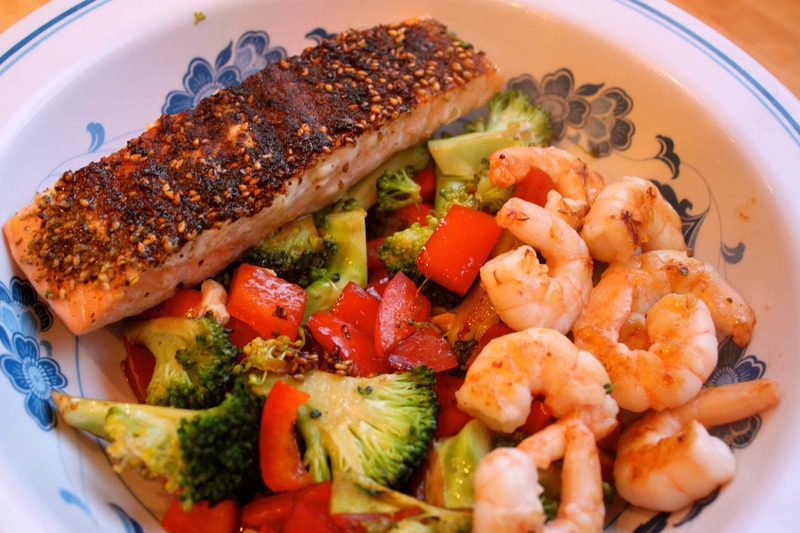 A delicious and low sugar supper – salmon cooked with Zat’ar, broccoli, red pepper and prawns with soy sauce. As long as I manage to resist snacking this evening, I will have managed a low sugar day – the first time for ages. I am getting back on track. Yum – that all looks delicious. We’ve just had an appalling day of cake for breakfast (yes, really – but it was home made), cake for lunch (yes, really – but it was Brian’s 80th birthday) and much too much food for dinner. Smoothie here we come tomorrow . 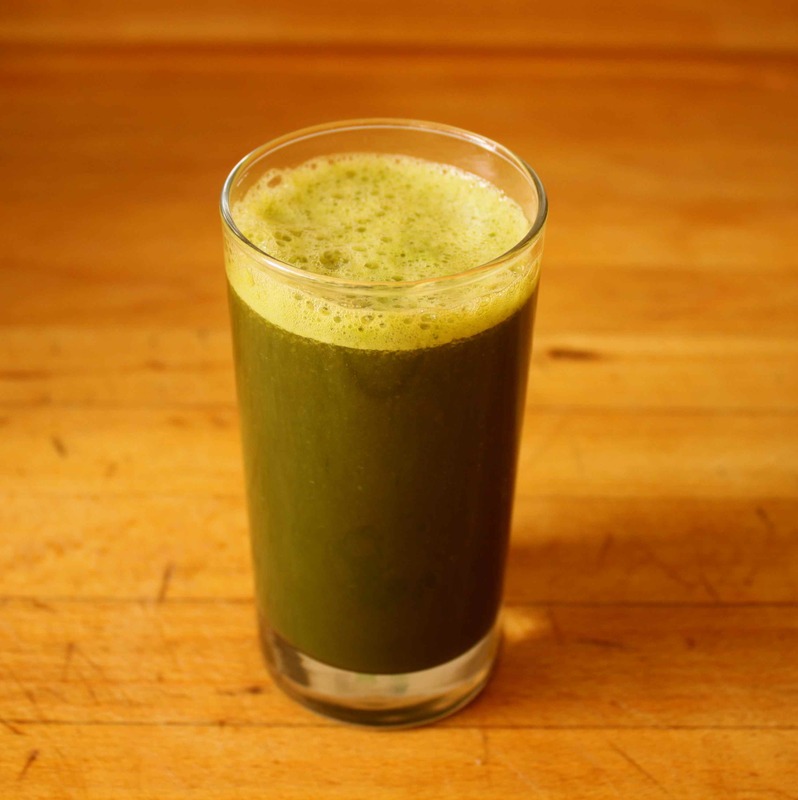 Your chard, pineapple and orange one looks gorgeous.